Windshield wiper maintenance is rather straight forward, but you may be asking yourself “When is the right time to replace the blades?”. In most areas, replacing blades once a year is adequate. However, if you think there may be an issue with your wipers, then it may be time to act now. The experts at Mel Rapton Honda are here to walk you through the basics behind your windshield wipers, so you can determine if it’s time for service. Your windshield wipers are a critical safety system on your vehicle. They need to be in good working condition every time you operate the vehicle. Windshield wipers are basic and upkeeping them is affordable and easy. The experts at Mel Rapton Honda are here to guide you through the simple process of testing your windshield wipers, and what can be done to ensure they’re properly functioning correctly. First, we need to make sure the wipers turn on, and function at the different speeds that they are designed for. Spray water on your windshield, or use the windshield wiper fluid, and turn on your wipers. If the wipers are not moving, do not change speeds, or any other similar symptoms, they will need to be inspected further. It is possible for the wiper motors to break easily, as they are traditionally made from small plastic gears. Secondly, we need to make sure that the wipers blades are doing an adequate job at cleaning the windshield. 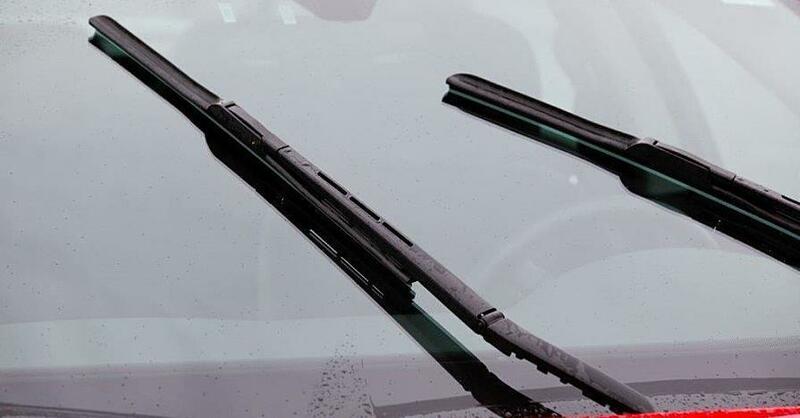 If the wiper blades leave streaks or miss sections of the glass, they need to be replaced. Luckily, replacing the wiper blades is an easy process that takes a matter of minutes. Wiper blades themselves are relatively inexpensive ranging in price from $15-$50. Lastly, choosing the right replacement wiper blades is really important. Your vehicle’s windshield has a particular curvature and length that the wipers must be compatible with. Each brand of wiper blades will vary ever so slightly, and you want to pick a brand you can trust. After that, you will want to pick the right length of wiper blade to ensure that they clear the entire windshield, and do not become intertwined. Always make sure that your windshield wipers work well before you hit the road. Finding out there is an issue with the blades once you have left home could put you and your loved ones in a dangerous situation. If your vehicle is equipped with windshield wiper fluid, then you will want to make sure the fluid holding tank is full, and that the system is working appropriately. These small openings located on the hood can easily become contaminated and clogged. Mel Rapton Honda is your top source for Honda parts, Honda service, and all other general car service in Sacramento. Let the experts test your wipers for you, and help you determine if and when you are ready for a new set. While you should expect to change your wipers once a year, this can vary dramatically depending on the weather conditions in your area and the quality of the wipers you use. Call to find out more about scheduling, or come in today for a Honda service inspection at Mel Rapton Honda.